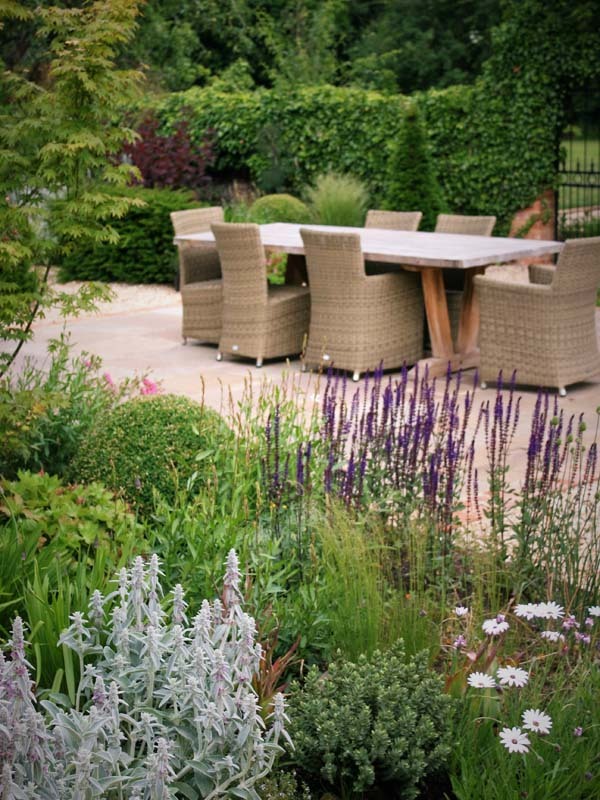 Creative Landscape Co wins the Association of Professional Landscapers ‘Supreme Winner’ award for 2017 and ‘Overall Design and Build’ award – a double win. 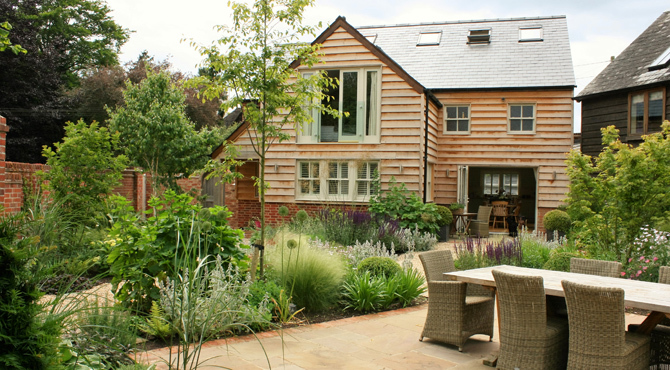 This award winning garden was designed and built by Creative Landscape Co. to unite a new cottage extension and existing barn in Oxon. 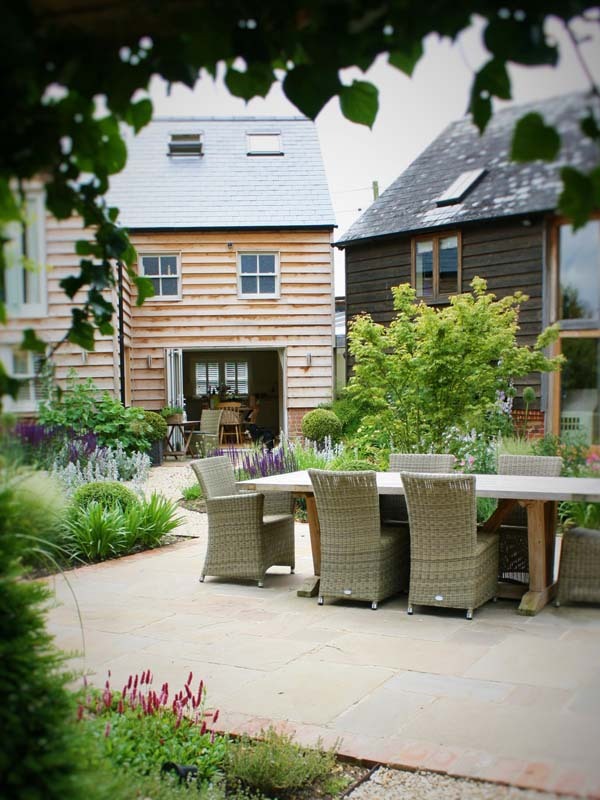 The result is a beautiful, relaxing family courtyard and garden that blends with the traditional character of the barn, its contemporary interior and village location. “We are very proud to receive the APL Supreme Winner 2017 award in addition to the ‘Overall Design and Build’ award especially as it’s judged by our contemporaries and is amongst so many other great gardens. It’s a real testament to the superb team we have and also to some lovely clients that trusted in our experience. 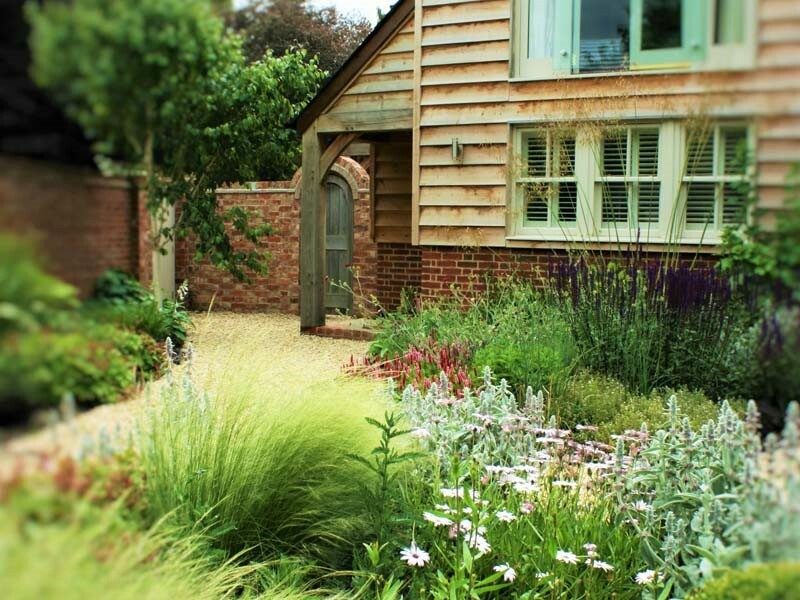 It’s not the biggest or most complex garden we’ve ever built, but one that combines all the right ingredients. As a designer, it’s a reminder that simplicity usually works”. 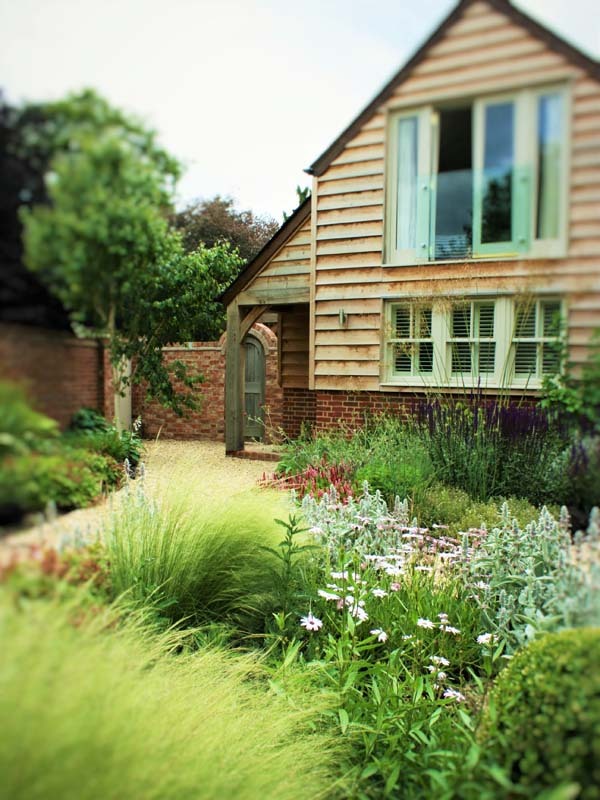 The brief was to create an outdoor living space to meet the needs of family life and a dog with traditional cottage style planting in keeping with the surroundings. 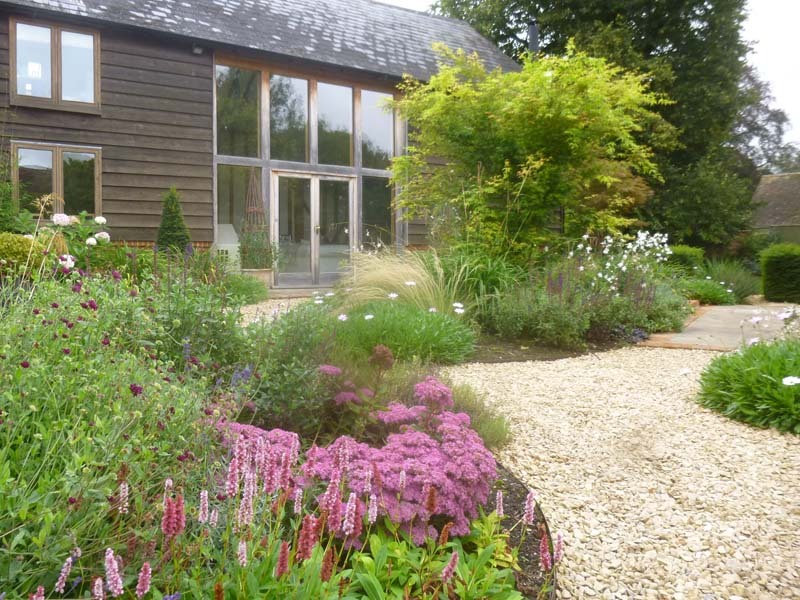 The clients required a design solution to create a new garden within an existing walled area to link their new cottage extension with the existing barn. The style needed to blend with the surrounding buildings and meet planning requirements in this country location. 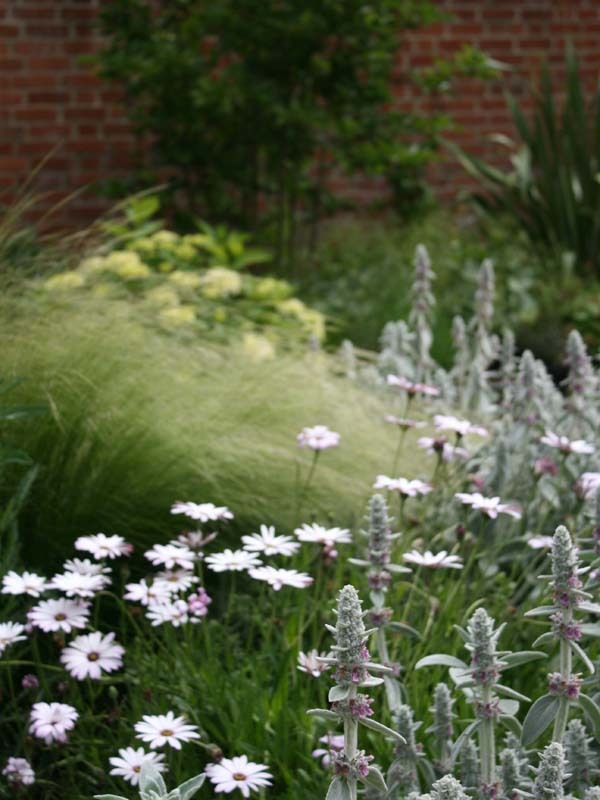 The clients are also plant lovers and wanted a natural, self-seeded look and plenty of year-round colour. 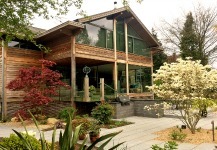 The fundamental challenge was to address the odd angles created by the new extension and existing wall. 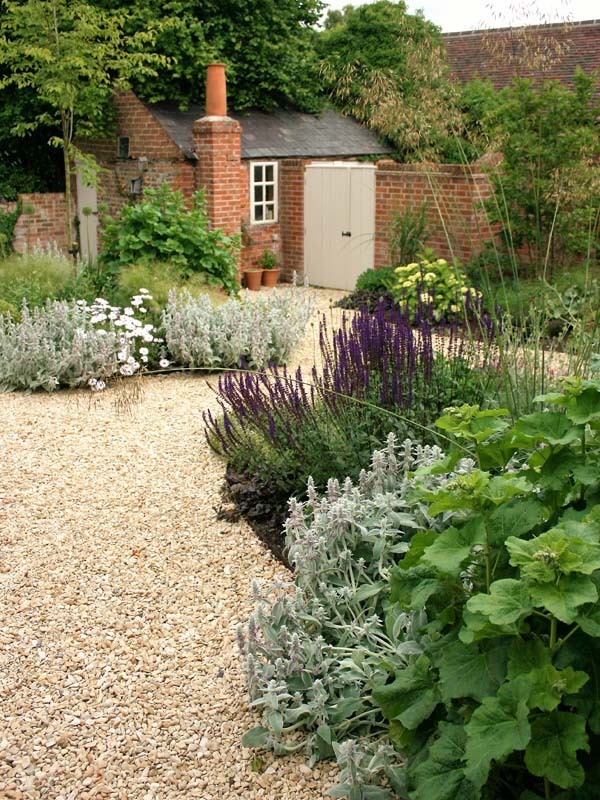 An informal curved path with drifts of cottage style planting was cleverly designed to mask these angles and create a flow through the garden that integrates old with new and meets the needs of family life. An outdoor dining area for eight was located away from the house to give the family the sunny aspect they wanted. 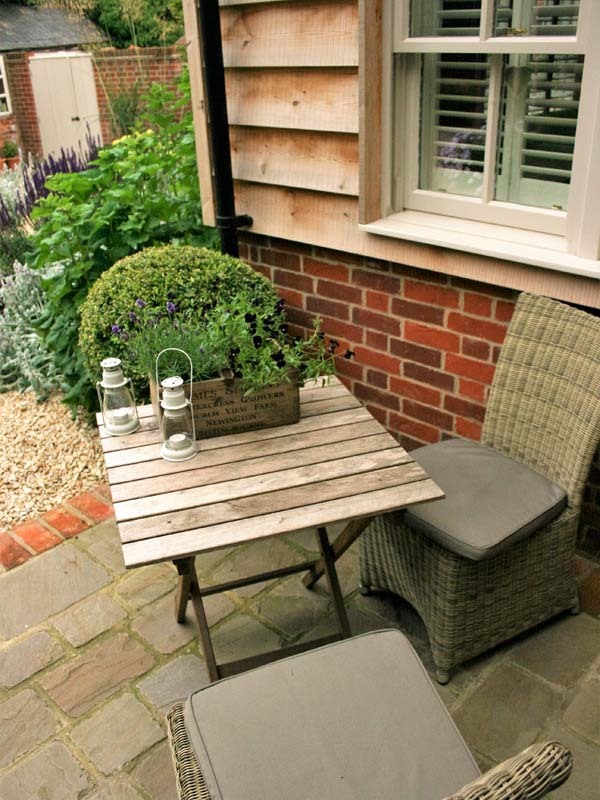 This new seating area constructed from tumbled Indian sandstone edged with traditional brick pavers creates a central focal point for the courtyard and is reached via a new informal gravel path surrounded by bold drifts of cottage style planting and herbs to meet the client’s love of plants. 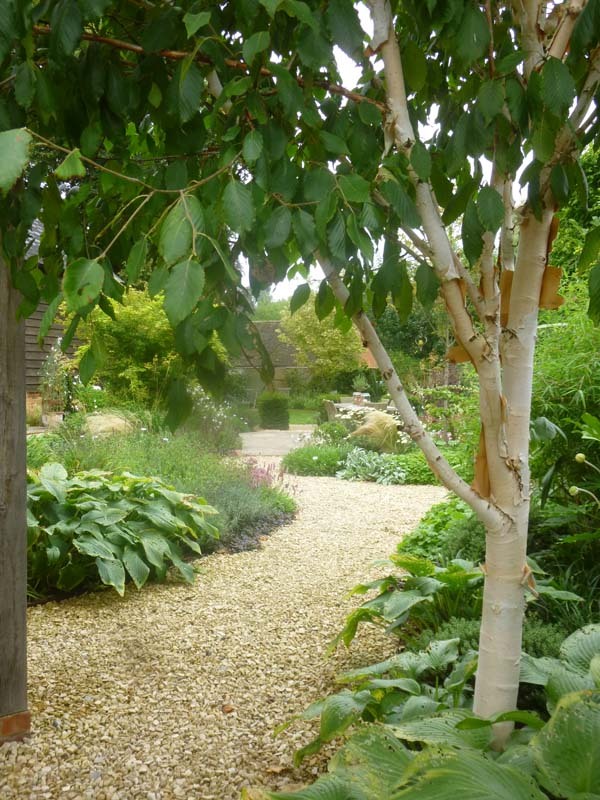 The gravel paths retained with steel edging were cleverly designed to mask the odd angles created from the new extension and create a physical journey that integrates the buildings and garden areas seamlessly. 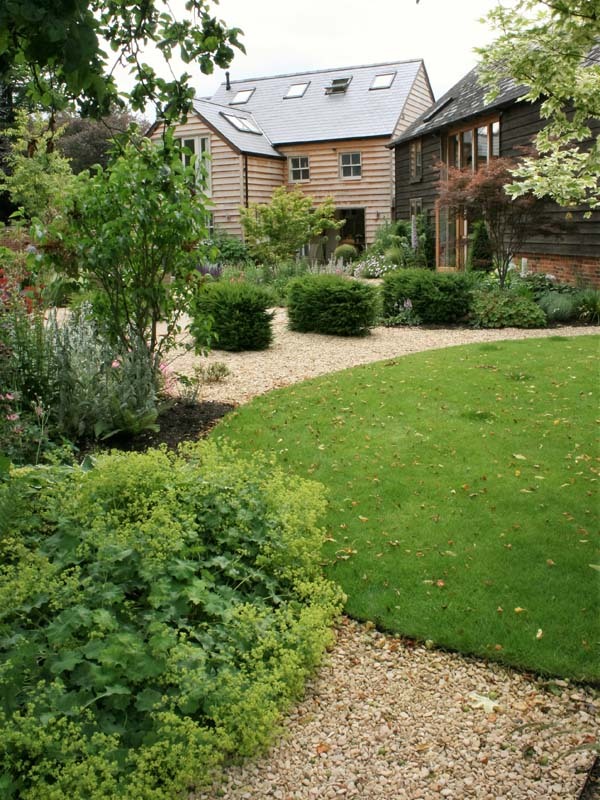 Constructed from local stone in keeping with the barn and cottage style, the paths bleed into planting creating a self-seeded look and lead the eye into the ‘Secret’ garden beyond where lawns and a vegetable garden lead further into meadows and woodland. The bland walls on one side of the house were transformed by a design of diamond climbers inspired by Versailles, planted with a combination of roses, lavender and box. The standard of entries exceeded expectations and there were a record breaking number of submissions for the judges to deliberate over. On the judging panel were industry experts: Richard Barnard as chief judge, Bob Sweet, Steve Smith, Robin Templar-Williams, and the APL’s National Business Manager, Phil Tremayne. 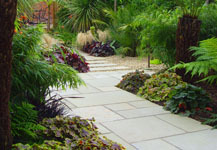 The APL Awards, sponsored by Bradstone, recognise the very best in landscaping undertaken by APL members. 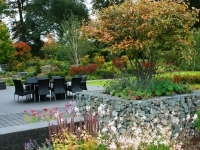 The awards are a celebration of the high standards that have been achieved by members and a demonstration of the APL's commitment to quality landscaping. What do people do in their garden?